It’s nice that I can finally make a homemade version of a milk frothy. I have no any idea about how to make one, but because I have the appliance for it, I’d be forcing myself to make a homemade one. As mentioned earlier, I am clueless about this item. A little information and research and of course reading the manual for the product are a good way to start. I’m happy that Ozeri gave me the opportunity to test their product about Milk Frothy. The packaging is in great condition, I see no signs of damage that I was able to use and test the item right away. The manual is very helpful, for someone like me that doesn’t know how this works and because this is the first time I have the product, using and being familiar with how this works is my priority. It is nice that it comes with 3 different Frothing attachment. I can use and egg beater, extra whisk and a cocktail mixer. Attaching the devices is very simple and quick. The Frother is lightweight and easy to hold. It is also easy to attach to the shaft connection point and to exchange with any frothing attachment. It came with 2 AA batteries, in which I find it an excellent way for the company to have the product ready for use. The power button is where you can find the speed selector in which it comes with 2 different speeds. Quick to put the battery as well as to remove it. While using it for the first time, it’s best to use the first speed that way the milk won’t spread all over, I have gone with the fastest speed and since I have no control the milk spilled everywhere. Based from the one I have, the milk frother works great. No dents and all the attachments work good. For the price of List Price: $24.95, Price now is only $19.75 and You Save $5.20 (21%). 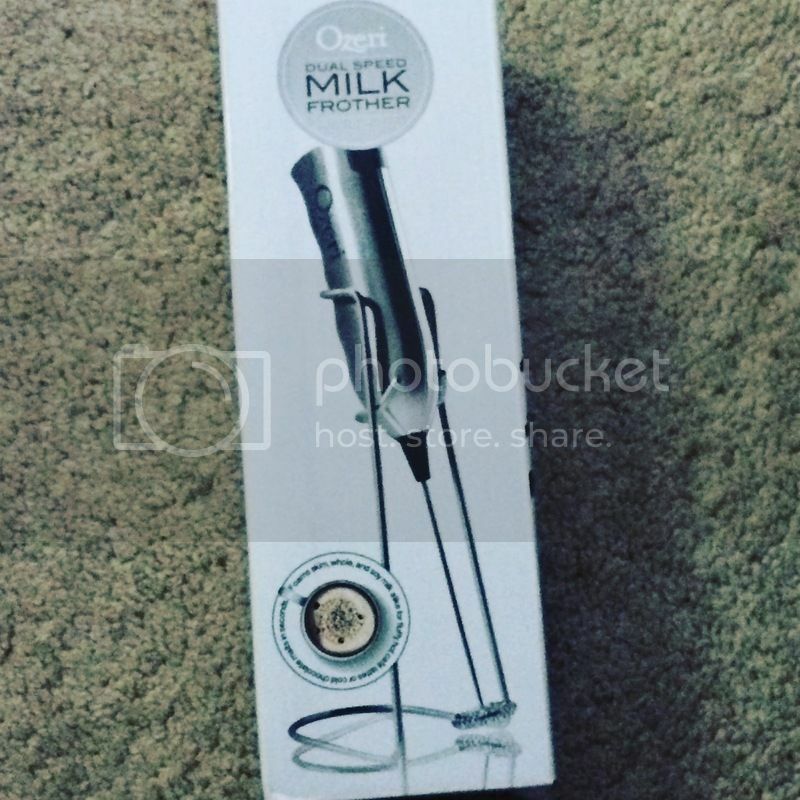 Ozeri Deluxe Milk Frother and Whisk in Stainless Steel with Stand and 4-Frothing Attachments can be purchased on Amazon.com. I have that and I used it once, my daughter had fun. It's nice to have in the kitchen. I have not try this product yet Mommy N. Maybe because my Summer Babe is still allergic to milk. It looks like an amazing product to try. I have never tried a milk frothy but I think I have a pretty good idea of what this product can do. Wow. That would be nice to make my own capuccinos! I have to get my own, and I will definitely be choosing Ozeri. I can imagine this milk frother is great when making cappuccinos at home.